A knock of 151 from 94-ball by skipper Suzie Bates along with some power-packed performances from the middle-order helped New Zealand women post the highest-ever ODI total of 490 against Ireland in Dublin on Friday. Along with the New Zealand skipper, Maddy Green too slammed 121 off 77 balls helping the team shatter the world record. It was raining boundaries at the YMCA Cricket Club as a total of 64 boundaries and seven sixes were whacked during the New Zealand inning. The score of 490 for four is now the highest-ever ODI total in both men’s and women’s cricket combined. New Zealand broke their own 21-year-old record women’s ODI total of 455 for five, made against Pakistan at Christchurch in 1997. After winning the toss. New Zealand women opted to bat first batting friendly conditions in Dublin. A marathon opening stand of 172 between Suzie and Jess Watkin (62 off 59 balls) was only the beginning of the carnage. Post Watkin’s dismissal in the 19th over, Maddy Green joined her captain, clobbering the ball all around the park. Both piled up another partnership in excess of 100 runs. 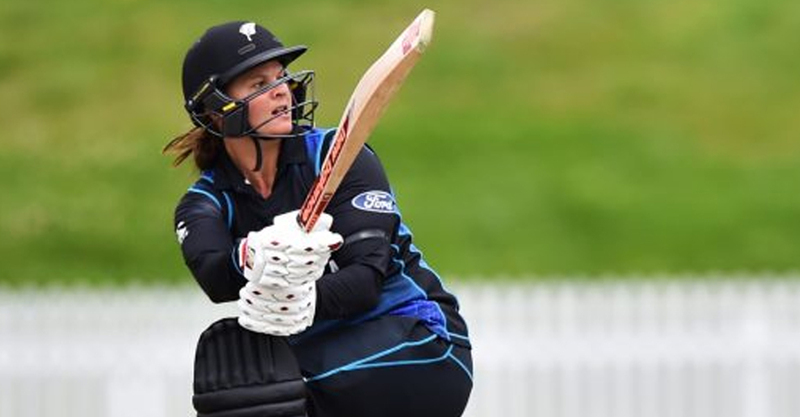 Towards the end, Amelia Kerr’s blitzkrieg of 81 off 45 balls, involving nine boundaries and three sixes, helped New Zealand post a mammoth target of 490 for the loss of four wickets in their designated quota of 50 overs. Bowling card for Ireland women looked horrifying as all bowlers went over 9 runs per over. Young leg-spinner Cara Murray was the highest wicket-taker for Ireland clinching two wickets for 119 runs. The highest total in any men’s one-day international is England’s 444 for three against Pakistan at Trent Bridge, Nottingham, in 2016 while the highest score in any men’s senior limited overs or List A match remains Surrey’s 496 for four against Gloucestershire at The Oval in 2007, an innings that featured Ali Brown’s 176.